You're touring Paris. You snap a few photos and want to e-mail them home. Where's the USB cord? Yup, you forgot it. 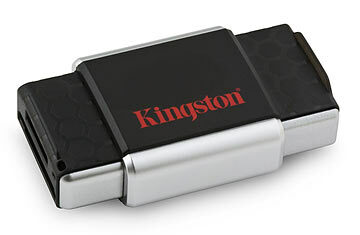 That's no longer a problem thanks to a powerful memory-card reader, Kingston's MobileLiteG2. It's not much bigger than an SD memory card, but the MobileLiteG2 is more versatile and supports many formats, including SD/SDHC and microSD/SDHC. All you need to do is extract the memory card from your device, insert it into the MobileLiteG2 and plug the protruding USB connector into your laptop's USB port. You can now go about sending photos and videos to family and friends back home.